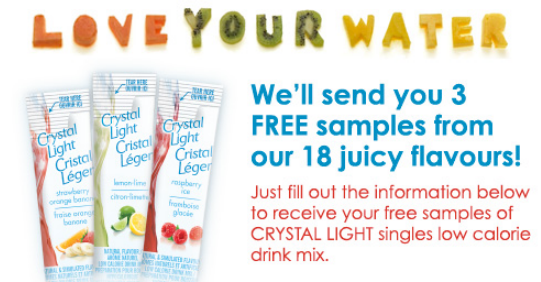 Get three (3) free Crystal Light singles low calorie drink mix samples - from their 18 juicy flavours! 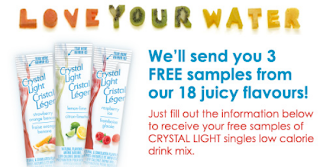 Samples are limited so they may go quickly! Allow 3 to 4 weeks for your samples to arrive by mail.